On business trips, in public places or in close customer contact, your sensitive and confidential company data is repeatedly exposed to strangers’ eyes. Customers, who value their privacy, protect their private data with our upscreen® privacy protection products and thus prevent exposure of sensitive information from sideways glances. How does the upscreen® privacy protection technology work? Our privacy protector products consist of microlouvers that limit the viewing range of ​​your display. This allows a clear front view of your screen, while unwanted sideways views are blocked and shown black, starting at an angle of 30 degrees. 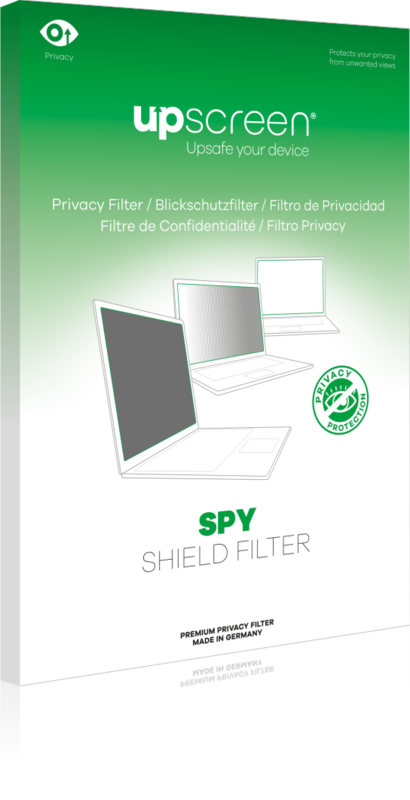 This exclusive privacy filter is manufactured in Germany following the highest quality standards – Upsafe your device! Additional properties of the privacy filter: two sides: matte and clear, easy cleaning and easy installation with either slide mounts or adhesive strips. Why putting up with unwanted viewers? 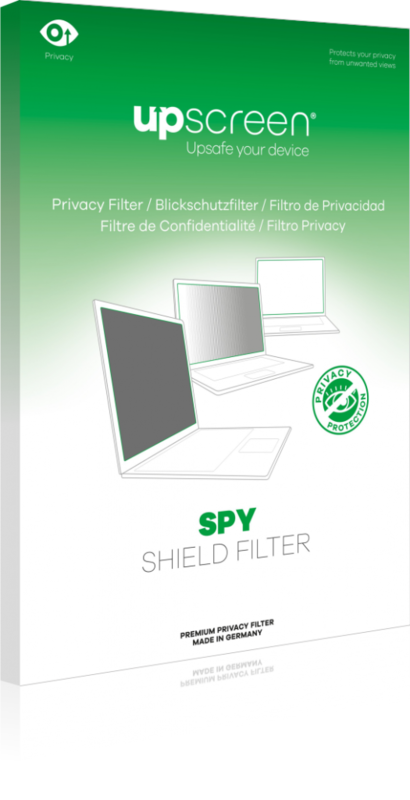 Install upscreen® Spy Shield Filter on your device and enjoy your private digital life! You can find the installation instructions for the privacy filter in our support section. This exclusive privacy screen protector is manufactured in Germany following the highest quality standards – Upsafe your device! Additional properties of the privacy screen protector: glossy surface, multi-touch optimization, easy cleaning and removal without residue. Why putting up with unwanted viewers? Install upscreen® Spy Shield Clear on your device and enjoy your private digital life!